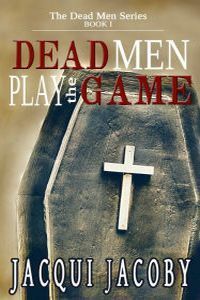 Leave a comment today on AuthorName's guest post for a chance to win a $5 Amazon GC and Kindle copies of WITH A VENGEANCE and DEAD MEN PLAY THE GAME! When she walks into Ian's pub, Ian knows their lives are about to change, if only for a short while. Vampire and human, their relationships can only last so long. But an enemy from Ian's past has his own agenda about their future. His sadistic revenge changes Ashley forever, leaving Ian and his long time friends – Travis, Jason, Quinn and Evan - - desperate to ease her into her new life and find a way to defeat their enemy. You must leave a comment on AuthorName's guest post to win. 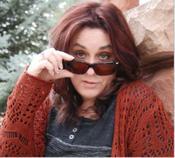 You will be added to the Jacqui Jacoby mailing list to receive occasional notices of interest. You'll also be added to the Fresh Fiction News. Unsubscribe options are available with each issue.